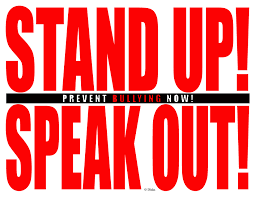 Bullying in our school is unusual and if it happens we act to put things right. 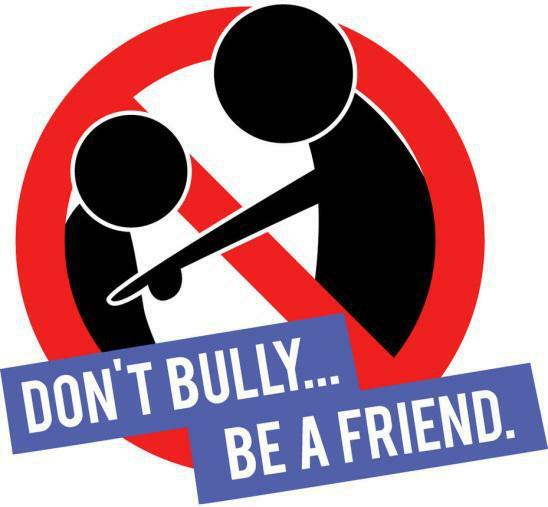 But bullying can happen out side school too: at a club or in the park.It can also happen on line So it is important for us to know what to do should we experience it ourselves or see someone else who is on the receiving end of bullying. There are more details about staying safe on line on the e-safety page. 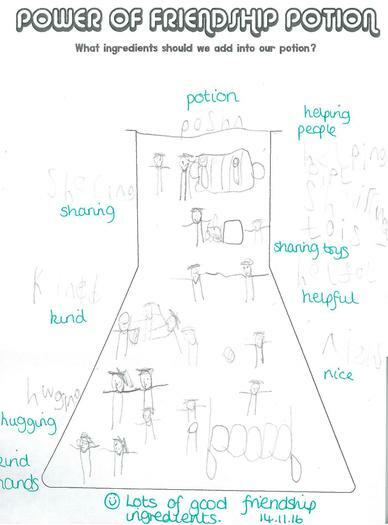 The children in Year 1 have been making a Power of Friendship Potion. 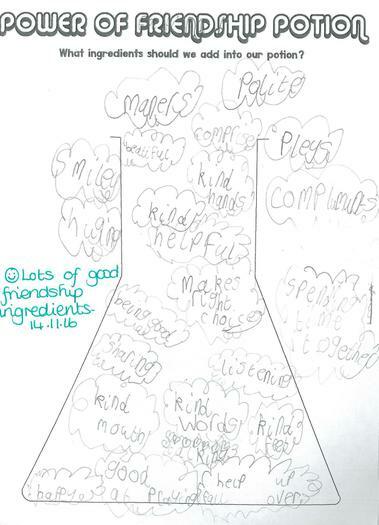 They shared their thoughts and ideas about the ingredients needed for the friendship potion. 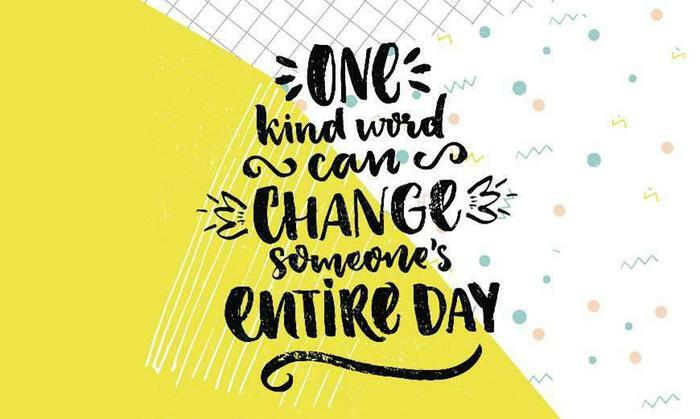 This page is all about anti-bullying. 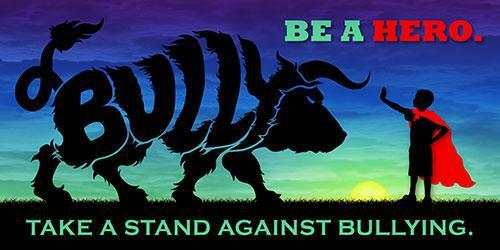 If you are being bullied or parents your child is being bullied this page will hopefully help them. They could make your child confident and they will know that they are not alone. Bullying can be face to face or online. Bullying is a horrible experience for children, parents know it can be horrible for their daughter or son. Just remember that if you are being bullied then other people have been through the same so do not be afraid and make a noise. Our posters here may help. Year 6 have been investigating web sites and information to see what help is available on line aswell as the support you can get in school. Hattie, Eloise and Tilly investigated on the internet and found some useful facts, videos and websites. This video was chosen because, "
Tilly discovered this by Demi Lovato whihc shows how even celebrities have had a tough time with bullies.